Everglades Exploration Network 2017 Invitational paddle at Mahogany Hammock. Paddling in the transition zone between the open ‘Glades prairies and the mangrove coastline through a maze of creeks and water leads! Paddling and exploring South Florida’s wilderness – the sloughs of the Everglades! 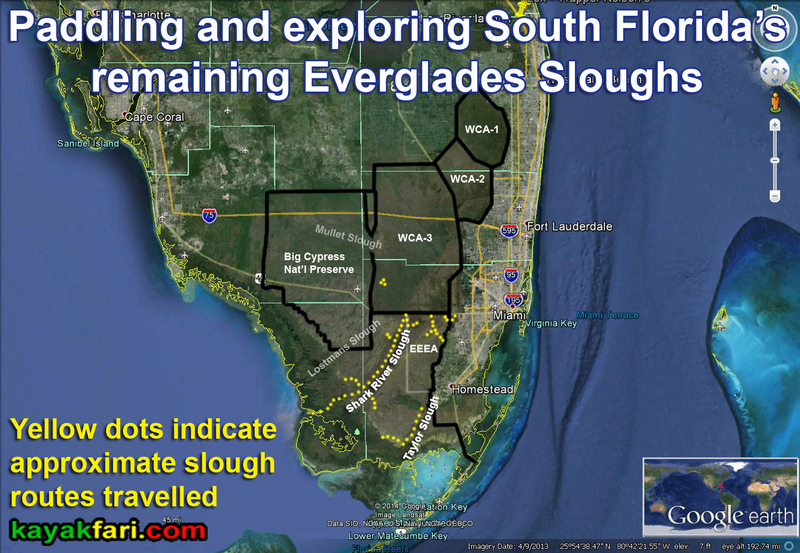 Exploring the sloughs of the Everglades – satellite view! Running down the Taylor Slough! Halloween on the Taylor Slough! Craighead Pond Canoe Trail connector to Taylor Slough. Kayaking the River of Grass – a Shark River Slough Expedition! Pahayokee to Main Street – probing into the Shark River Slough! Visiting Chief Chekika’s not so secret island hideaway in the Everglades! Click on any pic to enter inside! The tallest trees on Chekika Island are the many fine Mahogany specimens. yet an important piece of Florida history! 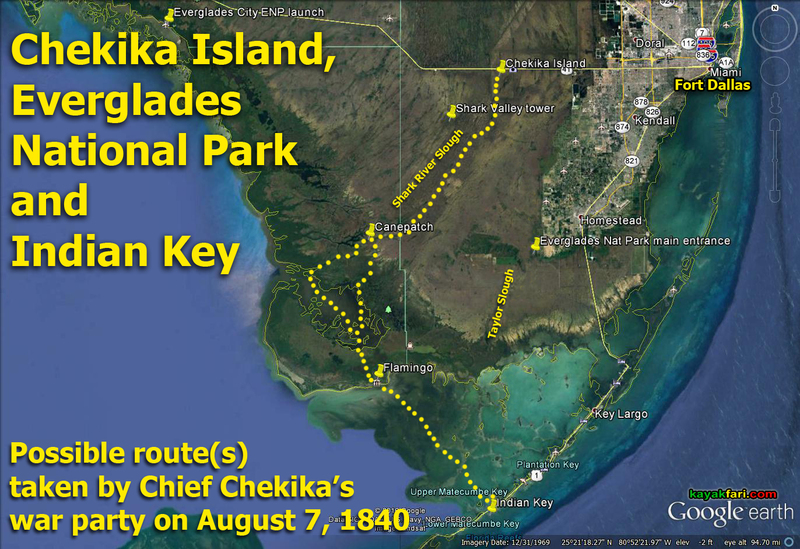 Chief Chekika’s Island hideout in the Everglades. Chekika Island one mile away from the L-67 levee south of Tamiami Trail. Dragonfly aerial view of Chekika Island hammock in the Everglades. Final approach to Chekika Island! Gorgeous lush and wet pond-trench along the perimeter of the higher interior of Chekika Island. Dry interior “clearing” on Chekika Island with mostly Mahogany and some Gumbo-limbo trees. Note the old scientific equipment! Near the southern end of the dry interior of Chekika Island. Is this where the camp once stood? Visiting Chief Chekika’s island hideaway in the Everglades! Where in the world is Chekika Island? What’s the big deal?